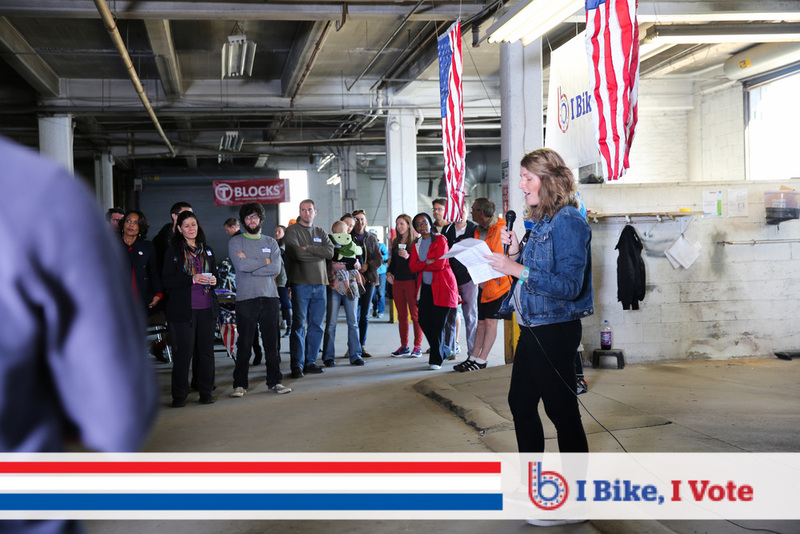 On Sunday, November 8, 2015 we hosted a party to celebrate the launch of our year long campaign to let local candidates know I Bike, I Vote. With close to 200 constituents in attendance, and with the support of our voter registration partner Build we registered 25 voters! The following candidates were in attendance to hear our 2016 Election Platform! We also announced that one of our board members "Titanium" Tim Adams has offered a generous Nine Thousand Dollars matching gift. That means from now until the end of the year, all the money we raise up to $9K will be matched by Tim--meaning that if we reach our goal, that is $18K to go towards supporting our advocacy work. So please consider an end of year gift to Bikemore today! We are already a third of the way to achieving our goal!! Will you help us get there? Click here to Donate. Thank you for showing up on Sunday. 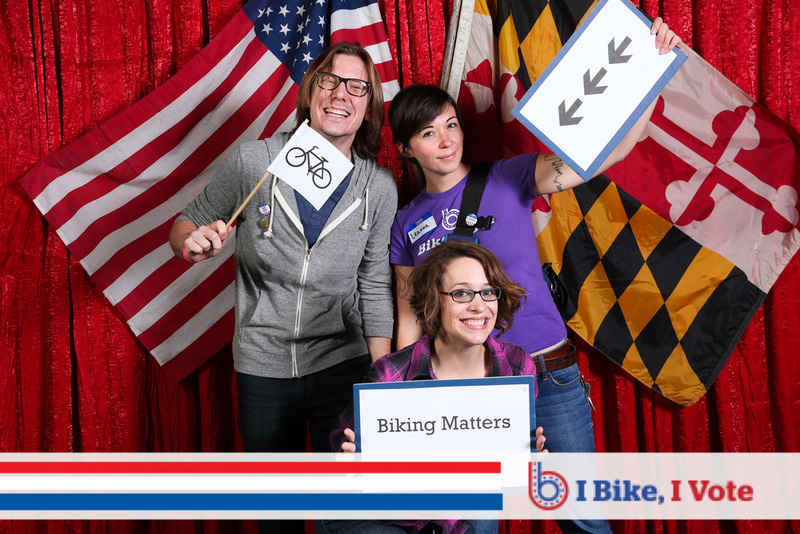 Now let's capitalize on that momentum and continue to build a force for biking in Baltimore. The candidates are listening. Tour Dem Parks Recap: Inspiring views, new paths, and jagged asphalt... Cycling through Baltimore's extensive park system. What’s Baltimore’s most beloved bicycling festival? Tour Dem Parks, alongside the leisurely harbor-side ride Tour Du Port, surely ranks near the top. After hearing about this citywide bicycling tour for years, my husband Brian and I finally joined the pack and signed on for Tour Dem Parks. We were also happy to register and support city nonprofits including Bikemore! To spandex or not to spandex? Riders chose between a 25, 36 and 64-mile ride (and a shorter family ride). For the easy-peasy 25 miles, I chose cutoff jeans and a “Peddle Princess” tee procured from a Bombay street market. Our friends arrived in spandex, shades, and clip-on shoes: The hallmarks of serious road bike warriors… And true to life—one of them bicycles to work some 30 miles to Annapolis. Personally, I went with cut-offs, since I bike about six miles during my commute to work in all manner of garb, dresses and heels, slacks and boots, but never spandex. The day dawned temperate and overcast, perfect cycling weather. Beginning on the leafy Gwynns Falls Trail, in the nation’s second-largest urban park, we rode alongside the creek to the first rest stop, where bagels and peanut butter were served. The “family ride” terminated here, which made the path significantly less crowded as it deteriorated through the rest of the park and we bumped and lurched over cracks. Adults moved on to more trail riding that wound us through tranquil urban forest. Soon the ride wound through Dickeyville, a serene hamlet set that grew up around paper and woolen mills in the early 19th century. Large stone houses with landscaped gardens (even an expensive-looking sculpture) overlooked a waterfall. My friend fell off her bike gawking. Soon we exited the Gwynns Falls Trail into West Baltimore. The neighborhoods along Liberty Heights and Belvedere around Pimlico’s racetrack were well served by streetcars (the #32, 31, and 25) through the 1940s and the style of the large, attractive early 20th century housing stock reflects what was a prosperous community. Today some of the homes are still maintained by residents; other houses have been burned out and abandoned since the 1960s. Cyclists followed spray-painted arrows on poorly paved roads through this neighborhood, making several wrong turns with the consequence of riding on multi-lane roads with no bike lanes. Luckily, in a pack, we were decently visible and soon got back on the correct route. These neighborhoods have hemorrhaged population over the past 30 years so we saw many fewer cars than one would expect. Now riding on the Jones Falls Trail, we entered Frederick Law Olmstead’s lovely 745-acre Druid Hill Park from Woodberry—checking out the oogle-worthy pool at Clipper Mill’s Assembly Apartments. We attempted to steamroll up the park’s switchbacks, walking for just a bit of the way. After our second of three pit stops, we set off for Patterson Park, continuing on the Jones Fall Trail. The Jones Falls Trail becomes a cycletrack between Mount Royal Avenue and Center Street, but elsewhere it regresses to sidewalk. It abruptly ends in front of Our Daily Bread after passing by a large prison. Cyclists must stop, cross the street and hop onto the badly-deteriated sidewalk, competing for space with distracted men meandering out of the soup kitchen. Some blocks south on rutted sidewalk, Baltimore Avenue’s well-marked sharrows led the way to 137-acre Patterson Park, within which bike routes were not well paved but incredibly scenic. The views of Canton rooftops and the city port kicked up a wave of patriotic spirit. We discussed the history of what was Hampstead Hill during the War of 1812. The Hill was stacked with 100 cannons and 20,000 troops—the view of which made the British recoil and retreat. Brian climbed the Pagoda, a 60-foot observation tower built by Charles Latrobe in 1890 (others felt their rear ends were already too sore). With the sun peeking out, we hightailed it through the Baltimore City harbor (dodging carousing packs of tourists on the shared bike/pedestrian way), biked over the lightrail tracks, and coasted down to Carroll Park. There were burgers, hot dogs, and Brewers Art beer on tap. We reflected in the shade. It was a comprehensive tour of Baltimore City parks, history, and the growing bicycle infrastructure that’s making cycling not only a once-a-year activity but a daily option for fun and inexpensive transit for many residents in Charm City. A big thanks to Tour Dem Parks for organizing a safe and fun ride! 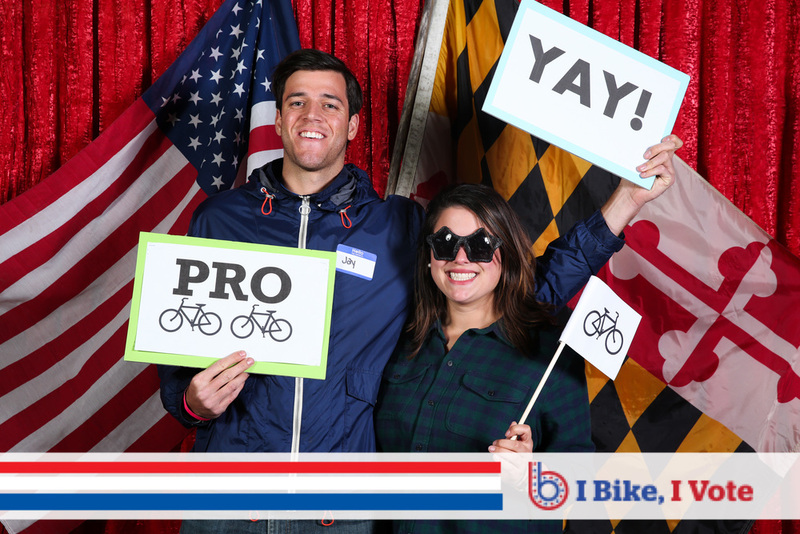 The proceeds from the ride benefitted parks like Druid Hill, Patterson, Carroll, and the Gwynns Falls Trail Council, plus bicycling organizations like Bikemore, Baltimore Bike Party, Velocipede, and the Cycle Cross in Druid Hill. To say the May Baltimore Bike Party was a big one would be an understatement. I heard some chatter that the event, which started with a party in Station North this time around, drew upwards of 1500 cyclists. If that’s true, that shatters the previous record of 1200-1300. 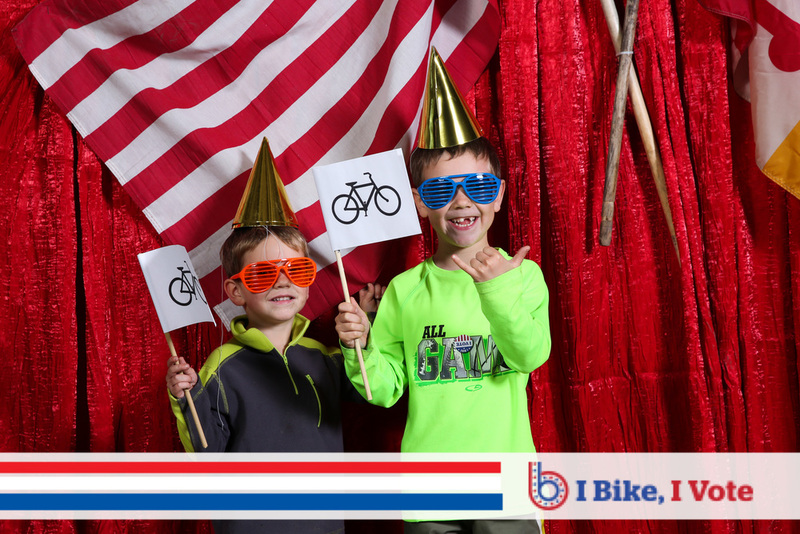 If you’ve been to a bike party, then you’re certainly familiar with how this one went down. But this time, there was a slight change of scenery insofar as it took off from the Street Car Museum, and, of course, everything was just bigger in scale. It looked like most had a good time, but the ride wasn’t without a couple of incidents that will happen with a ride of this size. There were isolated complaints of riders riding on the sidewalk, which the bike party volunteers policed as best as they could. At one point, I also witnessed another cyclist fall into my friend, which unfortunately bent his front wheel. For most partiers, however, it was another month in the books without any issues. The Baltimore Sun picked up the event and ran a story this morning. Make sure to check it out here. Bikemore's first Homebrew Bike Tour of 2013 went down a couple of weeks ago, and it was a resounding success. Make sure you check out photos from the event over on Facebook, and keep your eyes peeled for another tour over the summer.